A two hour ride in a songtale exposed us to enough dust and street fumes to equal a night in a smoke filled bar. 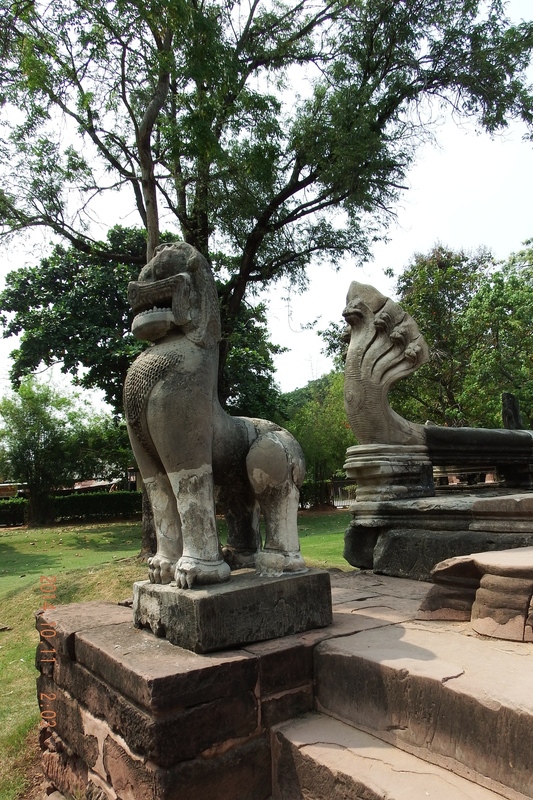 But the sites of Prasat Hin Phimai were worth it. 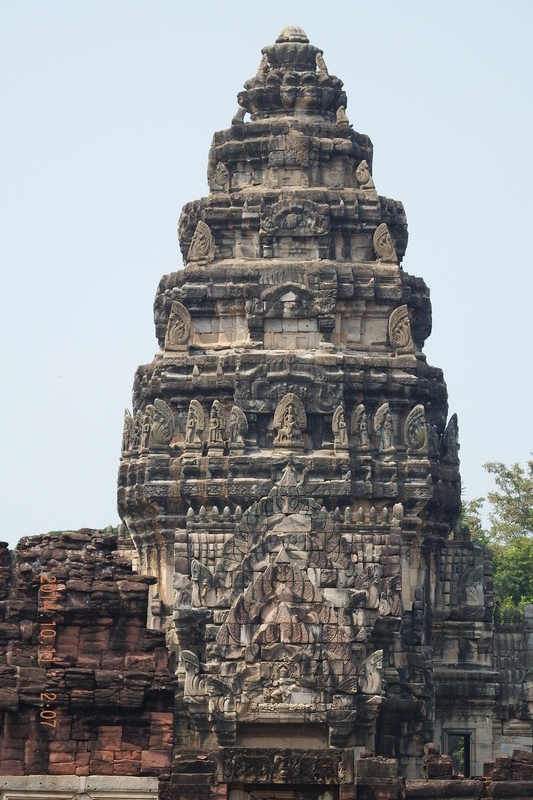 This ancient Khmer ruin (older than Angkor Wat) was built in the 10th century by King Jayavarm V and further completed by Kin Suriyavarman. It is humbling to look at the mastery of this complex and imagine the people who lived and worshipped among these walls. What an evolution of culture. A remarkable reminder that this part of the world comes from an understanding of the universe, of magic, of life and death that differs from known in my own culture. 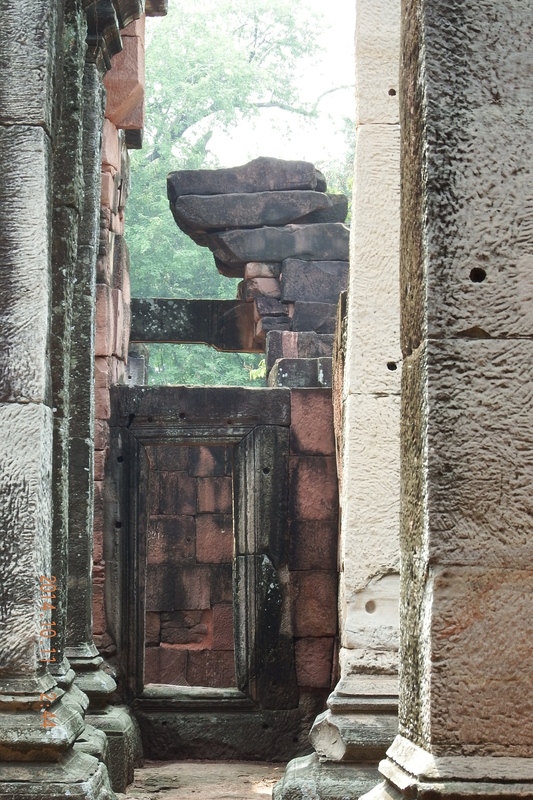 The temple complex is made of pink sandstone, white limestone, and laterite. These sedimentary rocks come from the nearest town to where I am staying, Shiku. The beautiful markings on the stone are from the excavation process. 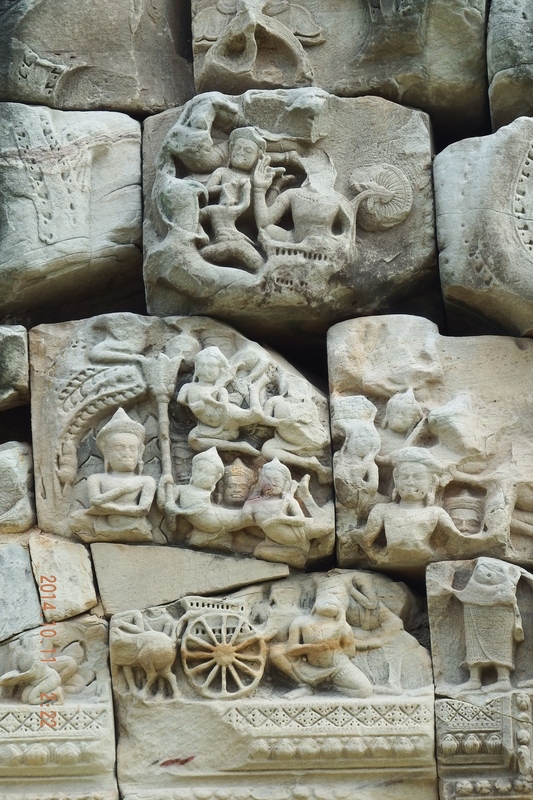 Running my fingers over the hand-made texture of the functional lines and decorated figures of Gods evokes a sense of laborious dedication and painful endurance. To move these stones about 100 kilometers in the 10th century rivals the impressive details depicting the facial expression of the Gods. It was fun to be exploring the temple complex with new friends.